It is very important to consider the design of the equipment electrical enclosure early on in the design phase. Decisions made early on in the development project will have a significant bearing on the product cost, the markets the product can be sold in and the time-to-market. Mistakes made in the design of the electrical enclosure can be very costly to rectify late in the development cycle, especially if discovered after an investment in production tooling has been made. Clearly define the geographical markets that the product will be sold into. Will the equipment be sold in the EU, US, Canadian and other markets? Or is the target market more restricted e.g. EU only? The answer to this question will lead to definition of the standards which must be adhered to in the design of the enclosure. Standards typically referenced are IEC 60529 Specification for degrees of protection provided by enclosures ( IP code), for countries using IEC standards. For the EU market, the applicable EN standard should be consulted. 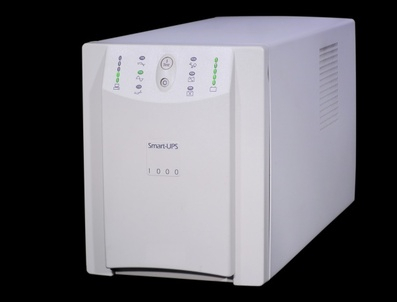 In the US, important standards include UL 50 Enclosures for electrical equipment and NEMA 250 standard of the same title. It is crucial to determine whether the product will always be incorporated into a separate final electrical enclosure, or whether it will constitute the final electrical enclosure itself. Designing for global market entry requires more effort to ensure multiple applicable standards are taken into account and detailed design requirements are implemented. Clearly define niche or specialist markets that are being targeted in addition to general requirements. An example would be equipment designed to be used on board ships - e.g. DNV and/or Lloyds certification requirements. Will the design tolerate marine environments with possibly harsher vibration withstand requirements than typical environments? Can the equipment be used on an IT power supply as may be found on ships? Another example of a specific market that will impact on the design of the enclosure is the HVAC market, for example addressing the flammability requirements of polymeric enclosure materials for use in air handling (plenum) chambers. Create a design verification plan. This should include tests and checks that will need to be carried out on the enclosure design. Refine the plan into prototype and pre-production stage verification. Intermediate stages may also be beneficial. The design verification plan for the enclosure may be a standalone document/spreadsheet/database, or may be part of a larger document encompassing all design requirements (our preference). Early stage testing may well pay-off by reducing the risk of encountering problems later in the product development cycle, depending on factors such as the complexity of the enclosure design, and taking into account any new un-proven features of the design or new types of materials being used. It is becoming easier and cheaper to quickly produce prototype stage enclosures that are sufficiently representative of production design, in order to verify thermal, safety, mechanical and other aspects of the design. Possible weaknesses in the design such as inadequate vi bration withstand can be un-covered early on in the development cycle. Involve potential suppliers at an early stage. Many will have a wealth of experience which can be tapped into and their contribution can be key to the success of the design. Do a risk-assessment on the safety of the enclosure. Are there novel elements to the design that may need to be investigated further? Are there possible issues that could affect the certification of the design when submitted to third party safety certification agencies? Seek assistance from experts if necessary. Document and record such exercises in the form of design reviews. This will contribute to your being able to show due diligence in the design of the product. Consider referring to such reviews in the Technical File required under the Low Voltage directive, as part of the CE marking exercise. Don't forget to include relevant test records in your safety case. Early test data can be useful and may even be adequate for product launch if the aspect of the design that has been tested does not change prior to product launch. Companies able to carry out un-witnessed testing (under agreement with third party product certification agencies) will benefit from not needing to repeat tests for the certification agency if there is evidence that the design tested is representative of the design to be put into production. Write detailed design guidelines and/or checklists for the design team. Design personnel responsible for certain aspects of the design may not be aware of other aspects which impact on their design. For example, mechanical design engineers may not be clear on distances required between un-insulated live parts and enclosure surfaces. The 'spacing' will typically be determined by the product electrical designer. It may not be obvious to a mechanical design engineer as to the necessary through-air or over-the-surface spacing required between a particular electrical component and the enclosure surface, or between components in different circuit classes. Various standards, such as UL508 Industrial Control Equipment, give detailed requirements but require a good understanding of various factors such as the enclosure materials, whether conductive surfaces are grounded and so forth. A good understanding of the test requirements will be beneficial and will often have a bearing on the enclosure design. An example is the proximity of ventilation openings to power circuit components that may rupture under single fault testing. Some standards require cotton wool to be placed over ventilation openings during component fault tests. If the cotton wool is ignited (e.g. due to hot particles being emitted from the electrcial enclosure), the test will be failed. Feed-in past experience into the design, especially any feedback from a previous test failure or product certification issue. Pay close attention to the selection of safety related electrical components and materials. If designing an electrical enclosure for US market entry, UL standards will likely apply (also consider NEMA standards). Certification agencies will check 'conditions of acceptibility' for 'recognised' components. Ensure the product designers are using the correct standards and understand component conditions of acceptability (found on UL 'yellow cards'). For example polymeric electrical enclosures required to be directly accessible by equipment operators in the US market may need to have a UL 94 5VA flammability rating or to pass a vertical burn flammability test.